A. I started as a part-time lab worker at (then ITARP) Central Office from 2000-2002. After graduation I was hired at ABFS (then ABSD) as a crew chief in 2002, working until the layoffs late in 2003. After a hiatus for grad school, I was initially hired as a Site Supervisor at ABFS in 2011. 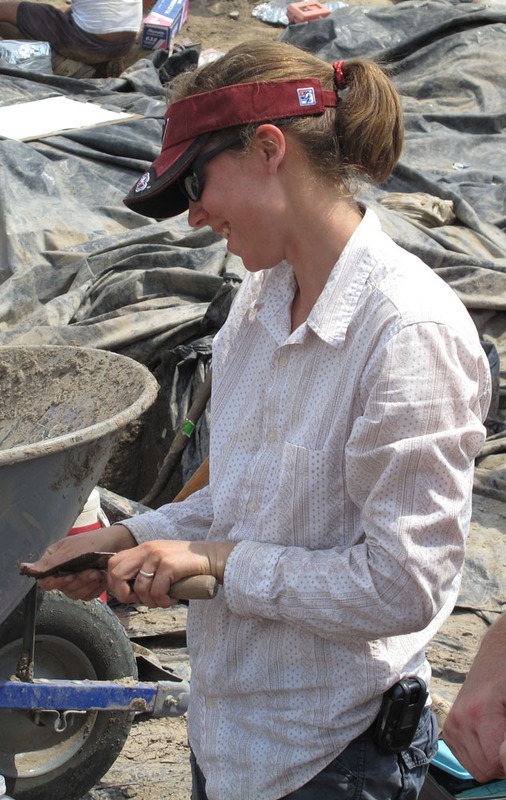 A. I initially planned to be a biological anthropologist, but after several seasons of fieldwork, I was hooked on digging! A. Tim Pauketat was my undergraduate advisor at U of I, and a great one. 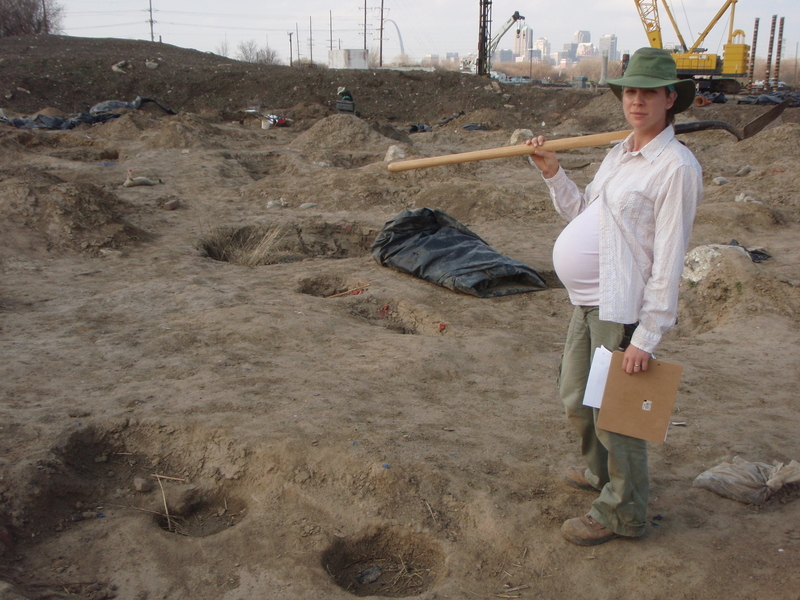 He gave me the most essential thing for an aspiring archaeologist – lots of field experience with expert guidance, and ample encouragement to pursue a career in the field. Dr. Paul Welch was my advisor in graduate school at SIUC, and helped me to become a more rigorous scientist, while Dr. Brian Butler has and still does serve as an endless source of knowledge for me on the archaeology of the Midsouth. A. Fieldwork! 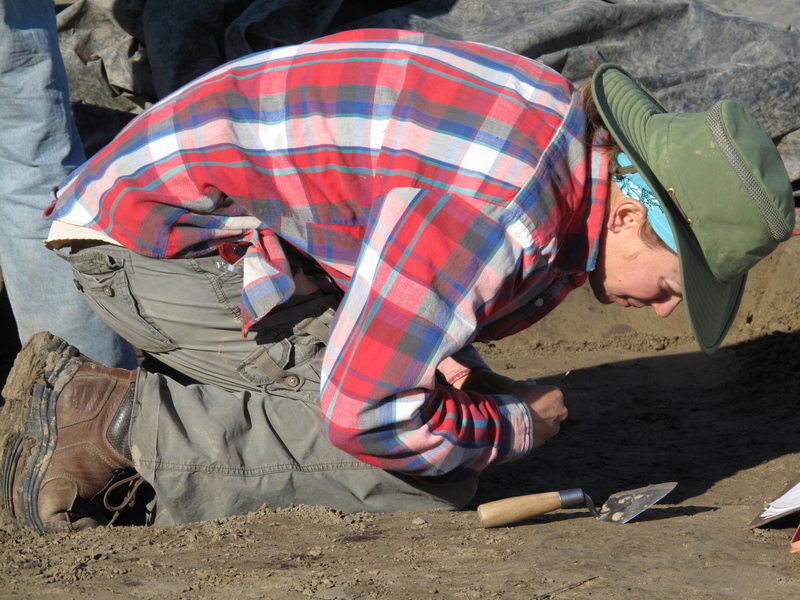 I love physical labor and being outdoors, and the complexity of interpreting the past in the ground assures that I never have a boring day in the field. A. Surround yourself with other, supportive people in your field. You will find each other as invaluable resources, honest critics, and rewarding collaborators. This advice is equally applicable to males, but perhaps more important for women, who often have the experience of being “shut out” of important (typically all male) networks. A. I’m most proud of our ongoing work on the East St. Louis Mound Complex for the New Mississippi River Bridge Project. The number of committed people who were and are involved in the excavation, analyses, and reporting of this project is astounding, and the results of their efforts will be a truly significant contribution to pre-Columbian history. 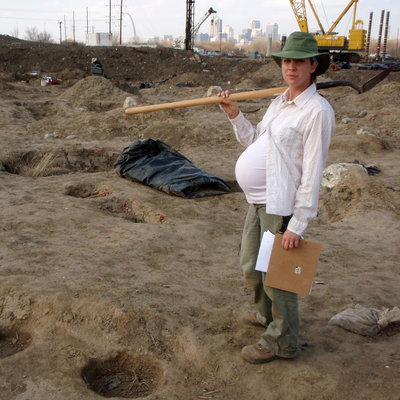 * The East St. Louis excavations were funded by the Illinois Department of Transportation as part of the New Mississippi River Bridge Project.